“One day there will be lots of little Ninjas running around on stage making sure everything is perfect”. A message from Nikhil, Brilliant! Being the perfectionist that he is, this comment made perfect sense by the end of the show. Every part of Nikhil’s Gig was captivating leaving myself and the crowd in a trance almost hypnotic like state. The band watching his every move with respect, waiting to take the audience to a different mind space completely. From surly gruff notes to flawless falsettos throughout the whole set. 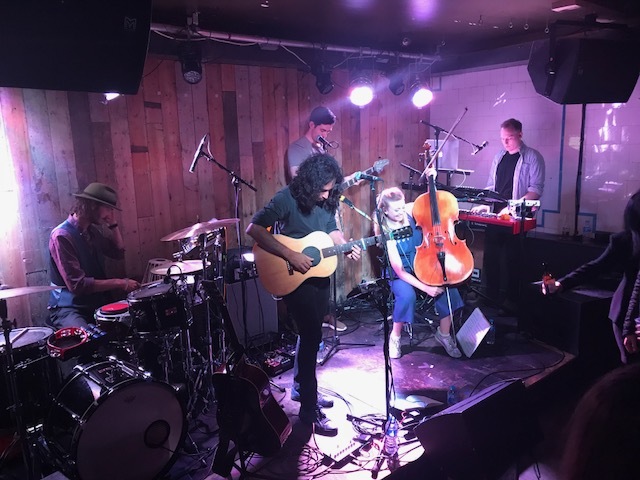 Reaching notes that only some singers could dream of, Nikhil has a very distinctive voice which gave me hints of various artists throughout the set. If your feeling down on life this is the gig to go to leaving you feeling elated and optimistic about the coming days. 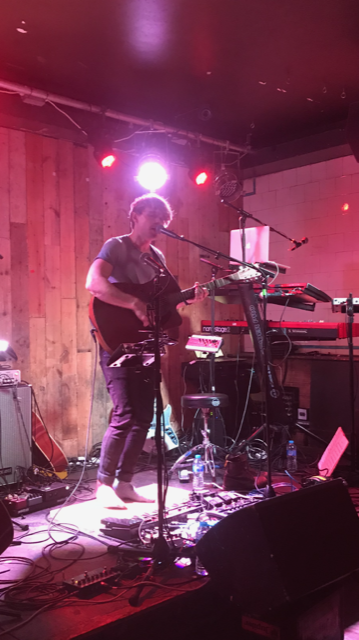 Touching on a feel of Morten Harket, Muse and folk sounding euphonic vibes, gives the entire gig a harmonious, rich, mellifluent atmosphere. If your feeling down on life this is the gig to go to leaving you feeling elated and optimistic about the coming days. Nikhil’s music really puts everyday events that happen to us all into perspective leaving you feeling like you’re not the only one going through some of life’s miseries like heartbreak and lost loves. He is not only super talented and intelligent but has a great stage presence with his own dry sense of humor which I Loved. 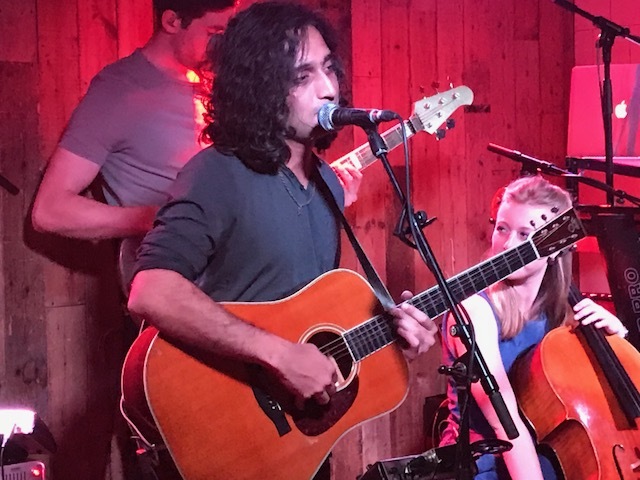 Standing upon stage with his curly locks in tow in casual dress and a natural relaxed approach to his performance. Nikhil born in 1981, singer, songwriter and guitarist from Mumbai, India. Now signed to East West Records of Warner Music UK. Throughout his set there are hints of his heritage in a fulfilling symphonic sound. There was a real organic chemistry between each person on stage. Glancing around the Waiting Room where the gig was held in Stoke Newington London, its intimate setting created a charismatic, ambient feel to the evening. I find it fascinating to watch the crowd and their reactions to the music, this part is equally as enigmatic as the sounds in the room. I challenge you to try this the next time you’re at a gig. Gazing at facial expressions and the slow sway of shoulders amongst the huddle. ‘Beautiful mind’ was my absolute favorite because of the interaction between Nikhil’s flawless voice and his band. There was a real organic chemistry between each person on stage. I felt like I was part of his journey and the event only left me wanting to know more, leaving the venue on tube on my way home Nikhil’s full collection has now been downloaded onto my Spotify Summer playlist. You can learn more about the lovely Nikhil online at the below links. Opening the show, we had the absolute pleasure of listening to the magical and mysterious folk sounds of Alex Hulme, originally from Liverpool now a travelling musician making his stamp in the music world. I had never heard of Alex before this evening. A very talented solo Artist whom really had the toes tapping in the crowd. Alex stands in his socks on stage upon a wooden block giving a real authentic feel to his music and the sounds. I loved this organic touch to his performance. Alex has a very distinct look with his curly blonde hair and a very natural manner on stage. His ad lib in-between songs seemed sensitive and touching to those listening in the audience. Alex is managed by Little Panther Management and is making a strong come back after taking some time away from the music scene. Although being a solo Artist this evening his electronic skills with his equipment were impressive. Using a Snap board and many other pieces of equipment which I have no idea about. Alex is a multitasker at best giving an energetic raw performance. Sipping on a Bourbon at the end of his set Alex is relaxed and feeling happy to share his music and its meaning with people that have made the effort to be there. My favorite song of Alex’s was ‘Family Tree’ which really resonated with me when listening to his words and the music. A melodic, harmonious, symphonic song with a rustic, bucolic feel. The venue was perfect for this kind of music really helping you feeling connected and fused with his performance. Thanks to you both for one of the best performances I have seen in a long time, the two acts blended effortlessly and really complimented one another. I can’t wait to watch both journey’s over the next year.